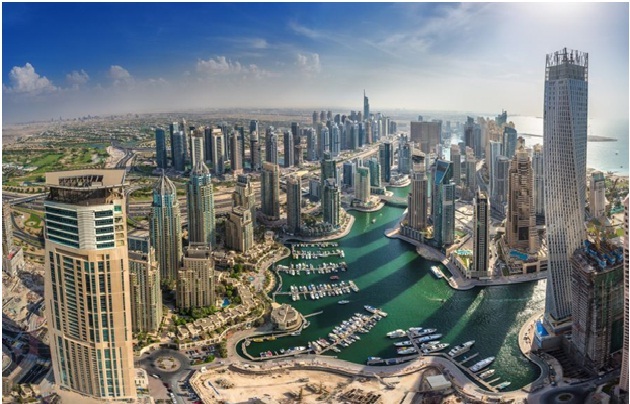 Dubai Municipality’s Planning Department recently organised a meeting with real estate developers in the emirate to discuss procedural improvements in the service of reviewing and approval of major urban projects. The meeting was organised based on the principle of participation of customers and effective communication with them regarding procedures to be introduced and to take their views and feedback in order to reach optimal solutions that achieve the goals of both the parties and contribute to the improvement and development of the service. The meeting was also part of the department’s keenness to realise the municipality’s vision of “Building a Happy and Sustainable City” by achieving its strategic objective of “Sustainable Urban Planning for the Future Dubai” and establishing its values of participation and happiness through effective communication with real estate developers in Dubai, who contribute to the city’s growth and development. The meeting, chaired by Najeeb Mohammad Saleh, Director of Planning Department at Dubai Municipality, was attended by heads of sections, project coordinators, specialists and planners of the department. The developers were represented by project officials from Emaar Properties, Dubai Holding, Meraas Real Estate, Meydan, Dubai Investments and Wasl Properties. The meeting discussed the requirements of the service to review and approve the major urban projects and the possibility of adding some requirements that contribute to accelerate the completion of the final stages of the approvals for these projects and shorten the stages of execution through the creation of layers of accurate geographical planning data on a permanent basis, which will be linked to smart systems to simplify the stages of issuing building permits. The meeting was positive as the developers interacted with the proposals of the Planning Department in addition to giving suggestions of improvement and development from their perspective as developers in terms of the mechanism of procedures related to the approval of major urban projects and their relationship with all concerned bodies. The Planning Department will study all the proposals that were submitted by developers and will take them into account to be answered as soon as possible after coordination with the concerned parties from other government agencies.